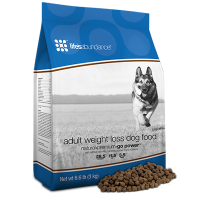 Whether you are a pet parent of a small breed/medium or large breed, Life's Abundance provides a pet food formula just for them. From puppy to adult to their senior years, Life's Abundance dog and puppy formulas has you covered. 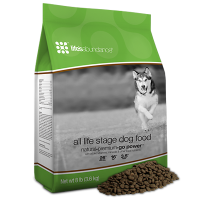 Life’s Abundance dog foods are veterinarian-formulated with select ingredients to help your dog achieve optimum health. 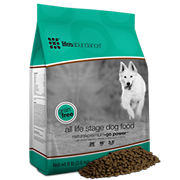 All Life Stage Dog Food Grain Free by Life's Abundance is formulated with the same careful selection of ingredients and cooked at low temperatures with a "fast cook" process. 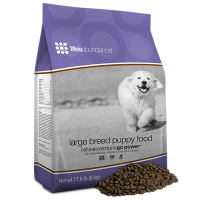 To help your big bundle of joy grow and thrive, choose Life’s Abundance Premium Health Food For Large Breed Puppies. 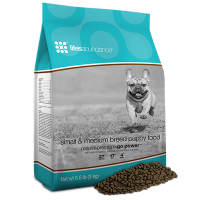 To give your little one every opportunity for a long and happy life, choose our Premium Health Food For Small & Medium Breed Puppies. Higher protein levels to aid metabolism & promote a lean, energetic body. Looking for Life's Abundance Cat Food?